Thanks! I will give that a try later today! Thanks so much! The goal is to use 1 MCU and HubDuino to control 3 servos and to power the servos from the wall. The question is power. Will a 5V 2A supply be enough to power 3 servos and the board? If not, what steps would be required to use a higher power supply without overpowering the board? 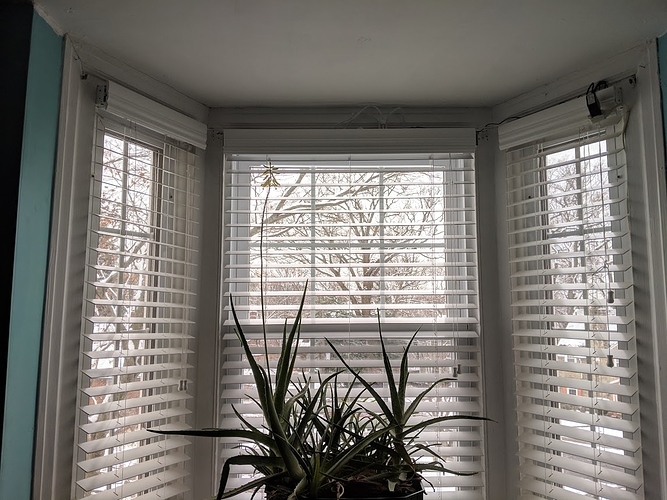 These are very light blinds, very easy to move. Do you have a spec sheet for the servos? When all three start moving at the exact same time, there will be a large spike in current usage. This should be the maximum power used the servos. Then add in the worst case power usage of the MCU, and you'll have your answer. Think I have a working plan. Servos will need 5V, 7.5A at max torque, so I'll need a 5V 10A switching power supply. (which I unfortunately don't have on hand) Then apparently the VIN on the NodeMCU accepts up to 10V, so should be fine there. Really? What type of servos are you running? I have Tower Pros MG996's that require 1.4A max to run. With 3 of them and a node MCU, you would need a max of 5A if you were going to run all 3 at once. 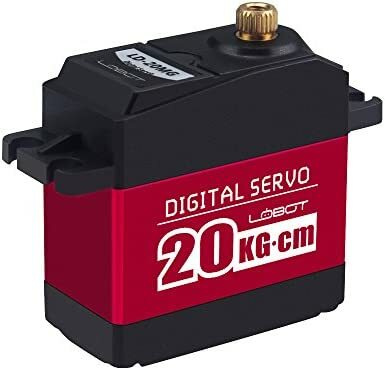 However, if you are using the servo disconnect command, you would only need the 2A power supply you have if you never run all 3 at the same time but only run one at a time. It's up to you to decide how you want to run them. It's definitely easier with the bigger power supply but with a little work you could get it running with what you have. Really? My spec sheet reports 1400mA stall current. That's odd. That also seems REALLY high. I'm running one of them off only a 1A wall-wart. very odd. It is insanely high though. You might want to aim for that with your 8ft blinds, but mine are featherlight, and two of them are a mere 13 inches. This is the one I have on my 8ft faux-wood ones. This little sucker's got some juice. It also runs at 7v. WTF runs at 7v? LOL Only way to get it was to use a 12v and buck converter. Interesting two different specs for the stall current. I'm going to try a 5A supply and see how it goes. Have you tried measuring the actual current draw using the ammeter setting on your DVM? Given the high torque rating on that servo, I'm guessing that the 1.4A stall current rating is at full torque--pretty unlikely your blinds are putting anywhere near that amount of load on the servo. Yeah, if 1.4 stall is accurate, and with such light usage, I wonder if I could get away with 3 of them on 2 amps. Is that completely insane? I'd give it a try. You could put a voltmeter (in volts DC mode) across the power supply's 5VDC to see if it drops significantly when you issue a servo move command. If it doesn't drop, and the MCU doesn't reset, you should be fine. Thanks all - I'm always a little fuzzy on estimating power requirements, but little by little it's becoming more clear. Worse thing that would happen is if your current draw is too much and the available current for the board drops too low it will just reset. That'll tell you right away if you're going to have a problem. Also, have you thought of using the Callback function to sync the blinds within the board itself rather than through hubitat? I'm not sure I understand. What does this function do? It allows you to execute commands based on other messages the board sends/receives. For example, you can have local control over a relay based on a contact sensor. There's a whole bunch of info on it over in the ST forum for ST_Anything. Interesting, I'll look into that. As it stands I've got the blinds wired up, and the servos appear to trigger in sequence, not in parallel, when using Hubitats Groups. Which of course means I don't have any power issues.